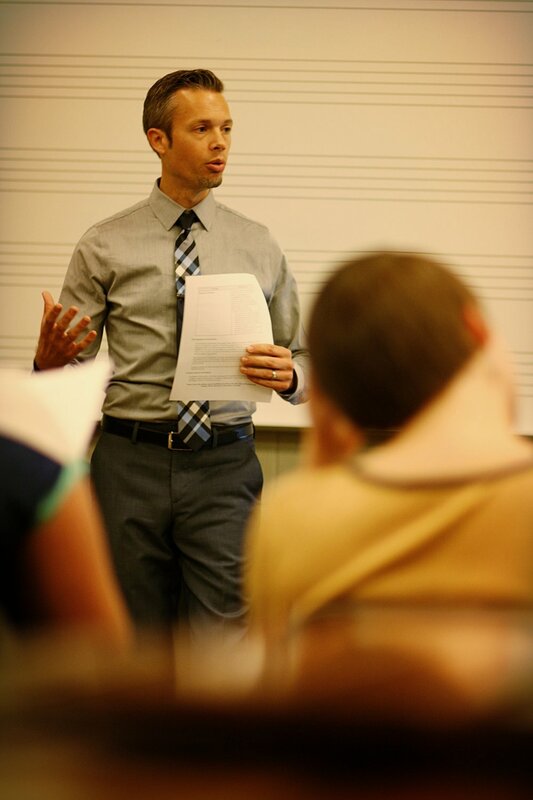 I am currently serving as Assistant Professor of Percussion at the University of Wisconsin-Stevens Point. I am blessed to work with such terrific students and value every day with them. Visit the UWSP Facebook page for news and coming events! Please use the contact link above if you are interested in private lesson study. I am available for clinics, masterclasses, and workshops and enjoy working with students of all ages and ability levels. If you would like to schedule me for your event, please click on the contact heading. Examples of past clinics are listed below with brief explanation, but topics could be customized for your needs. Auxiliary Percussion Instrument Performance and Techniques for Music Educators. This clinic focuses on sound production techniques for triangle, tambourine, cymbals (crash and suspended), woodblock, and castanets. Other instruments could be added or the previous list could be edited depending on time constraints. Marimba clinic focusing on transfer of wrist stroke motions to technique in modern marimba repertoire. This session focuses on the primary wrist motions used in either Stevens or cross grip techniques and offers exercises for the application of this method to marimba technique. Modern marimba repertoire is used to demonstrate the application, but these exercises could be applied across the broader percussion performance spectrum. Keyboard percussion reading and methods for band directors. This clinic was organized for band directors and focuses on a survey of attractive and useful method books and their application in teaching students to read mallet percussion music. Fundamentals of sound production on keyboard percussion instruments is also included. Rudimental workshop using wrist stroke motions and interdependence concepts applied to rudimental drumming. Fundamental wrist stroke motions are emphasized and related to the performance of rudimental percussion instruments (snare, bass, and tenor drums). A hands-separate approach, with exercises relating to interdependence, is used for deconstructing rudiments and creating a more natural "flow" of stick motions.